Ok. I am ready to cast on for my first pair of socks. From page 28, “These are so named for their attractive wheat sheaves stitch pattern. ” My favorite dpns are the Knit Picks Harmony needles. They are so smooth and pretty, and they just feel good in my hands. So needles are ready to go. I chose some yarn in my stash, because if at all possible, I want to use yarn from my stash. Although I am not sure that I have enough sock yarn to even be throwing around a word like stash, but I do think I have yarn that will work for this. 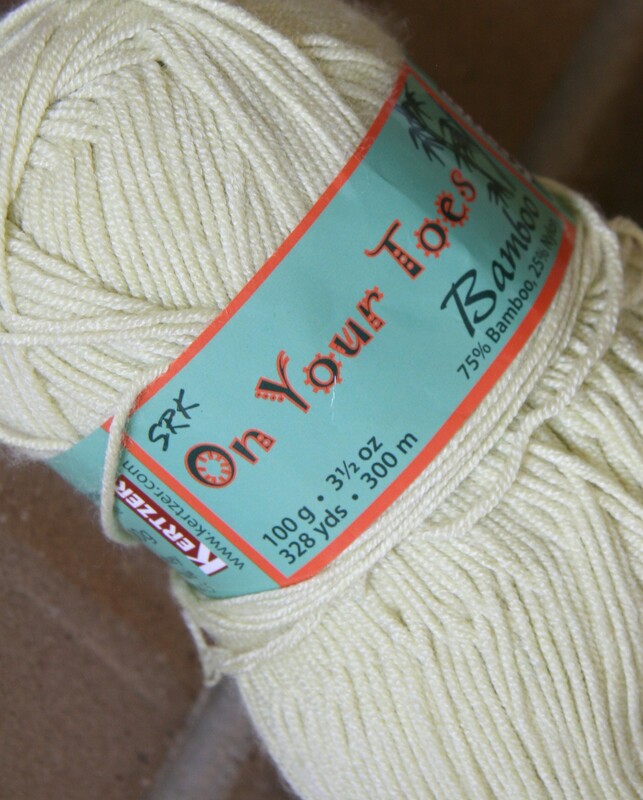 That would be Kertzer’s On Your Toes Bamboo in a really light green. I think it is called “Rainforest Dew”. That does not conjure images of wheat sheaves, but let’s see how it goes. I have not tried to knit socks with bamboo before. I hear it can be splitty, but I did knit a scarf earlier this year from bamboo, and I had no problems with that. Those are the details. Now to cast on 68 stitches. I can handle that. I always find myself defaulting to the long tail cast on. I need to challenge myself to use different cast ons, but I figure I have lots of time for that! I can also deal with the k2p2 rib pattern. It’s the modified wheat sheaves pattern which follows which may require me to lock myself in a small room with no stimuli so that I can concentrate on this pattern! I’ll get back to you to share how it goes. Oh and the yarn! And now about Davey: He had a wonderful time in Texarkana yesterday. 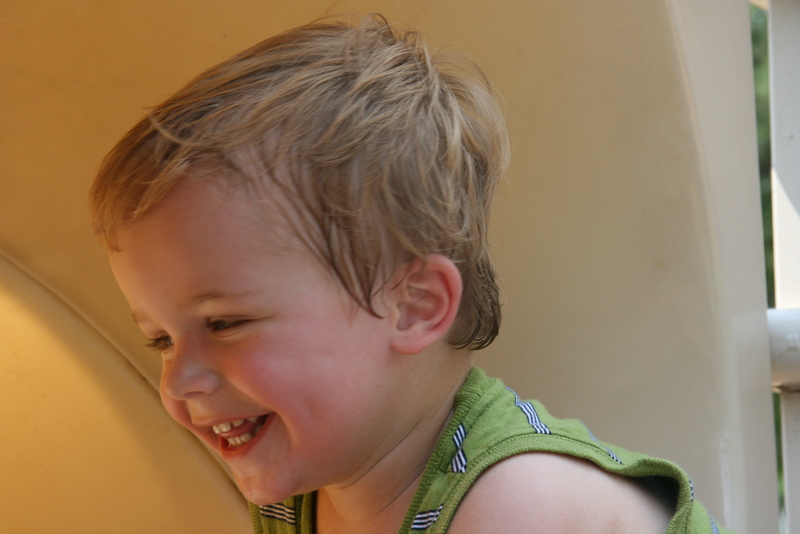 He went to to Chuck E Cheese, where he played lots of games with his Pa. We went to the park, although it was just too hot to stay for too long. We went to Target and Davey wandered the toy aisles for an hour. He is really not that interested in actually buying any toys, he just really likes checking them all out and playing there. We picked out a few things though. He got “Don’t Spill the Beans”, but he instead plays a game called “Please do Spill the Beans just as Fast as You Can”!